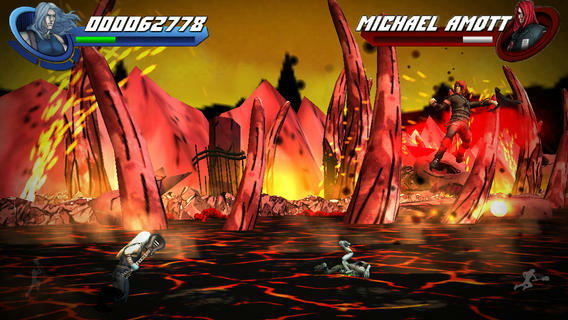 Eternal Descent: Heavy Metal Heroes is an iPhone game developed byIncendium Records. 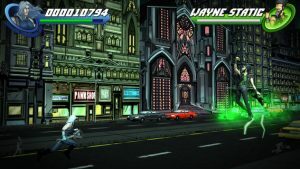 If you like fighting games, metal music, comic books, or the nonstop party energy of songmaster Andrew W.K., then you need to download this game RIGHT NOW. 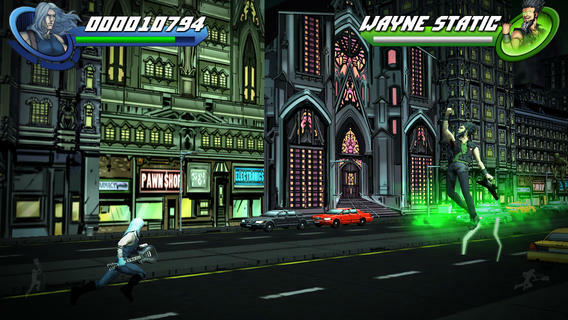 Eternal Descent: Heavy Metal Heroes is based on a cult comic series. The graphics are awesome, and the soundtrack is incredible. 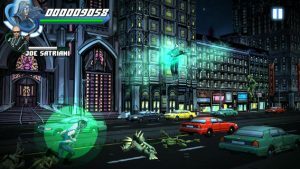 I’d be hard-pressed to name another iOS game that’s out right now with a similar level of energy and intensity. 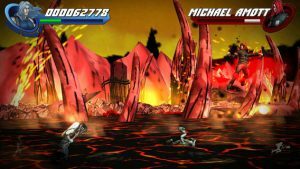 In Eternal Descent: Heavy Metal Heroes, you’ll find an endless brawler that’s perfect for getting your adrenaline pumping. Part runner, part fighting game, and packed with epic music, this game comes out firing on all cylinders. The controls are simple. Hold and release on either side of the screen to unleash a swift uppercut or swing. The longer you hold, the more powerful your attack will be. I’ve seen some user reviews complaining about the game crashing or slowing down as you progress further into your runs, but I personally did not experience this kind of issue. My overall impression of this game is that it will appeal to fans of classic Top Cow comics, as the art style and themes are somewhat similar. If you ever read “The Darkness” or played its related video game titles, you’ll probably love Eternal Descent: Heavy Metal Heroes. 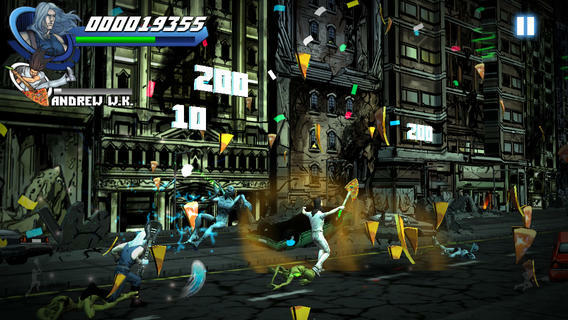 In short, this game offers a totally addictive twist on the endless runner genre. The battle mechanics are simple, the interface is great, and the game has endless replay value. 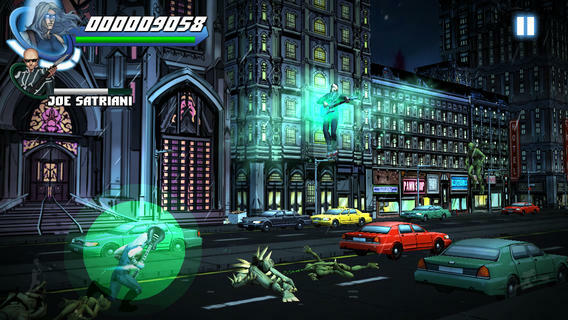 Eternal Descent: Heavy Metal Heroesis compatible with iPhone, iPad, and iPod touch. This app is optimized for iPhone 5. Requires iOS 6.0 or later. Technical notes: This app is designed for iPhone 4, 4S, iPhone 5 and iPad 2/Mini. It is currently not recommended for earlier generation devices.